Having just beaten Sullivan on Thursday, 38-29, Coach Tim Scheer said that it is never easy to beat the same team twice, yet alone having played them two days prior. But the Lady Shamrocks came out ready to play, defeating Sullivan 35-24 and advancing into this afternoon’s Championship game. Park Hills entered the game a perfect 19-0 and would be handed their first loss of the season as the Lady Shamrocks improved to 18-1 and winning their 18th straight. 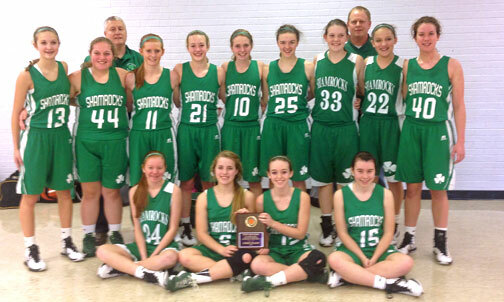 New Haven’s only loss was to Owensville in their first game of the year in the Hermann Tournament. Congratulations to the JV Girls on winning the Pacific Tournament!